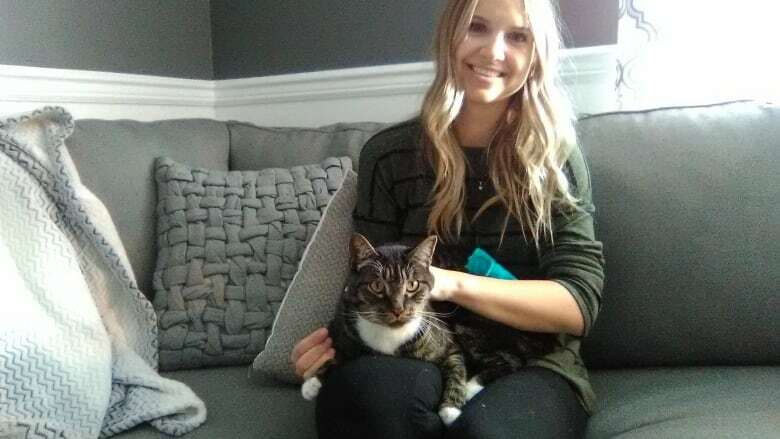 A Prince George, B.C., cat named 'Biggie' is being described as a miracle after surviving multiple pellet gun shots from close range. 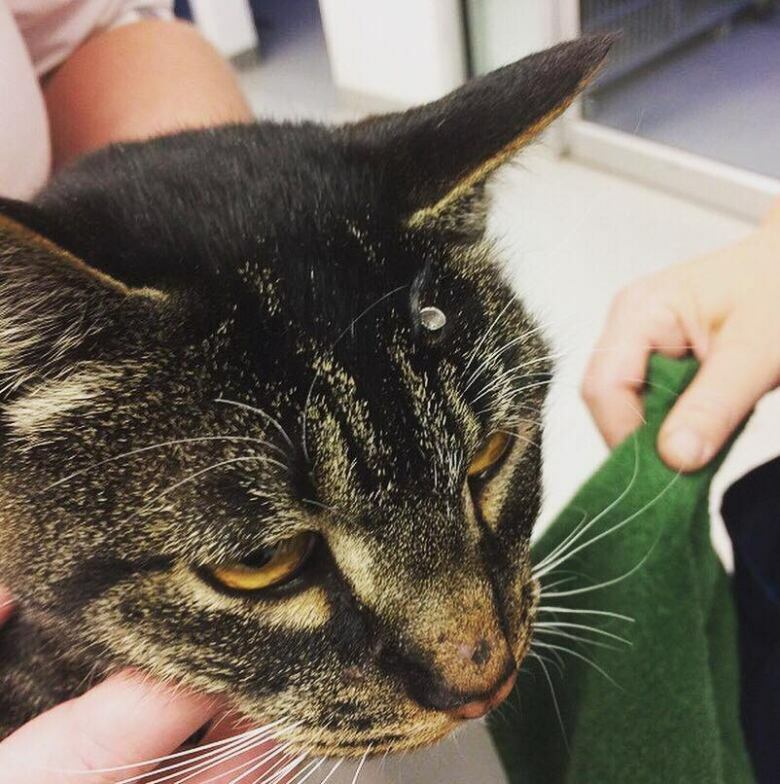 A Prince George, B.C., cat is being described as a "miracle" after surviving multiple shots from a pellet gun at close range. Now his owner wonders who could be so cruel to a pet and she's worried it could be someone in her neighbourhood. "Biggie" — named after the rapper The Notorious B.I.G who was fatally shot in 1997 — went missing from his home in the College Heights area of Prince George on Nov. 3. 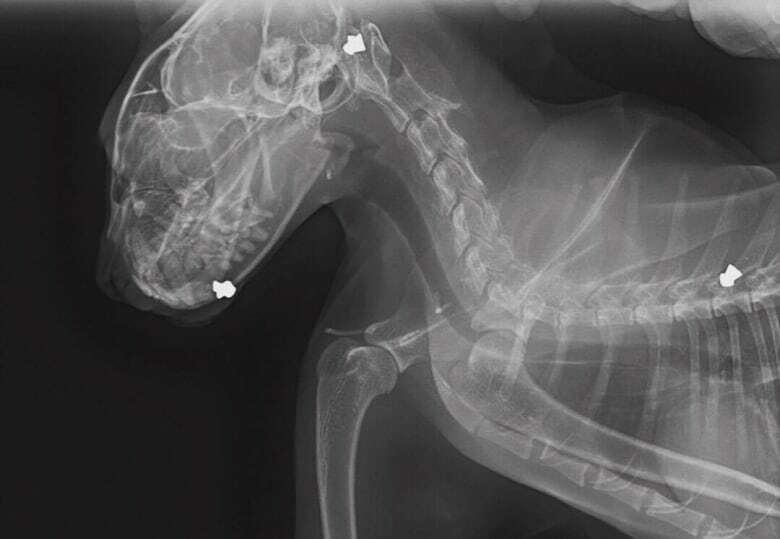 His owner, Nicole Crandell, worried he had been caught by a fox, but two and a half weeks later she got a call from a local veterinarian telling her Biggie was alive and full of pellets from a gun. "Excuse me, what? Pellets? What do you mean?" Crandell remembered saying. "And then they said, 'Yeah, he's been shot multiple times.' "
The vet told Crandell that Biggie was found more than 15 kilometres away from her home and taken to the SPCA before being transferred to have the pellets removed. "He had pellets in his head, in his cheek, his neck, his jaw, his back," Crandell said. "The vet said the way the pellets were in his head, it's like a pellet gun was held up to his head and his body ... they were doing this on purpose." Crandell said she is "completely disgusted" somebody would do that to a cat and is worried it could have been someone in her neighbourhood. As for Biggie, he appears to be making a full recovery and is "super-stoked" to be back home. "He's a little miracle cat," Crandell said. For more stories from Prince George, follow CBC Daybreak North on Facebook. Pit bulls no longer classified as dangerous dogs in Prince George, B.C.